Police cars are seen outside a country music bar and dance hall in Thousand Oaks, Calif. after a gunman barged into a large, crowded venue and opened fire late Nov. 7, 2018, killing at least 12 people. Sgt. 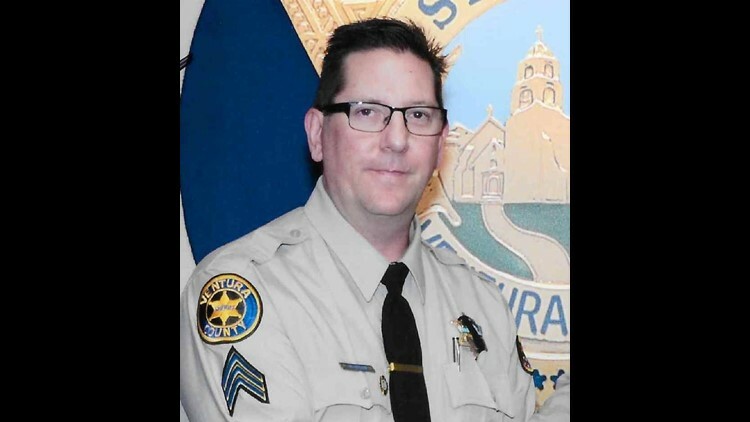 Ron Helus, of the Ventura County Sheriff's Office, died after being shot while responding to a mass shooting at the Borderline Bar & Grill in Thousand Oaks, Calif., Nov. 8, 2018. Sheriff Sgt. Ron Helus "died a hero" after being shot by a gunman who killed 11 others at Borderline Bar and Grill in Thousand Oaks, California. Helus was among the first to arrive on the scene, entering the bar with a California Highway Patrol officer. Helus exchanged gunfire with the suspect, identified by authorities as Ian David Long, before being shot multiple times. Helus died at the hospital Thursday morning. Helus, a 29-year veteran of the department, was looking to retire "in the next year or so," Ventura County Sheriff Geoff Dean said. "Ron was a hard-working, dedicated sheriff’s sergeant," said Dean, trying to hold back tears. "He was totally committed. He gave his all. Tonight, as I told his wife, he died a hero because he went in to save lives, to save other people." Helus, 54, is survived by his wife, Karen, and their 24-year-old son, Jordan. On Wednesday night, a gunman dressed in black opened fire at the country dance bar in Southern California, killing Helus and 11 others. The shooter, apparently firing at random, also died. Prior to heading to the scene, Helus talked to his wife, as he does several times during his shift, Dean said. "Hey, I gotta go handle a call. I love you. I’ll talk to you later," Dean said of the conversation. The Ventura County Sheriff's Office held a procession for Helus on Thursday morning. "Ron’s selfless, heroic actions will never be forgotten," said the office in a statement. "Our hearts go out to his family and friends during this difficult time." During an interview with CNN, Sgt. Eric Buschow of the Ventura County Sheriff's Office said Helus was a "true cop's cop," enthusiastic and excited about his work in law enforcement. "He loved spending time with his son," said Buschow. "They would go fishing up in the Sierras together. My heart goes out to his family. I just can’t imagine what they’re going through right now." Steve Mayorga worked on and off with Helus in the Ventura County Sheriff's Office for almost 30 years. 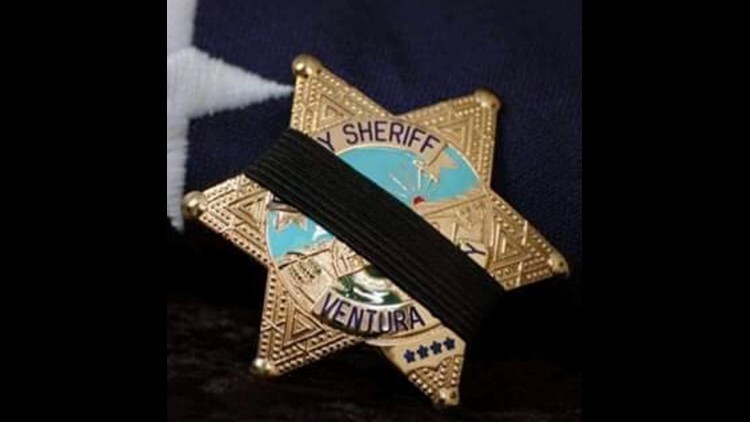 He heard of Helus's death when scrolling through Facebook and seeing multiple posts of a Ventura County Sheriff's badge with a black band over it, the sign of a fallen officer. When Mayorga heard it was Helus who died, and that it happened when Helus rushed inside to try to save someone, he was devastated but not surprised. Multiple friends of Sheriff Sgt. Ron Helus posted this picture on their Facebook accounts to honor Helus, who died Thursday morning after being shot multiple times at a mass shooting at the Borderline Bar and Grill in Thousand Oaks, California. "That's who Ron was," said Mayorga, who retired two years ago. "He was very dedicated to his job. When people call him a 'cop's cop,' what they're saying is that he was the type of cop who other cops looked up to, someone who goes beyond what a normal cop does." Mayorga met Helus in 1990 after transferring to Ventura. At that point, Mayorga already had seven years on the job, but he found Helus's energy and enthusiasm contagious. "It was just refreshing to see someone so gung-ho and wanting to do his job well," Mayorga said. "It made me smile. Later on, when we were working patrol you would see a lot of young people go up and ask him questions, pick his brain because they just trusted him. He was a mentor for a lot of young officers." According to his Facebook page, Helus owned and operated Gun Control: Firearms Training and CCW Instruction, a private business that trained civilians on how to safely own and operate a weapon. On his "about" page, Helus wrote that he'd been a firearms instructor for more than 25 years, and had previously worked with the basic and advanced SWAT schools. Jordan Slider, who works with Ron's son, Jordan Helus, has known the family since Slider and Jordan Helus's freshman year at Cal Lutheran University. Slider said summing up Ron Helus can be done in one word — genuine. "Anyone that knew Ron would recognize him as a friend, not just an acquaintance or co-worker," said Slider.. "He was just so welcoming and that good of a guy. You'd walk into his house, he'd slap you on the back and ask how you were doing. He cared about what you had to say, whether the conversation was five minutes or 45 minutes."